TxEIS is web-based, fully integrated, and supports the operational and reporting requirements of Texas districts, charter schools, private schools and education service centers. The software is scale-able in both design and configuration in order to meet the needs of any size school. The Business and Student applications are comprehensive and performance based, incorporate state-of-the-art functionality, and will significantly increase user productivity. TxEIS can service the needs of schools with less than 300 students or up to 70,000 students. PEIMS and other state reporting requirements were considered for each application to ensure data extracts and submissions are an integral and effective component of each application. 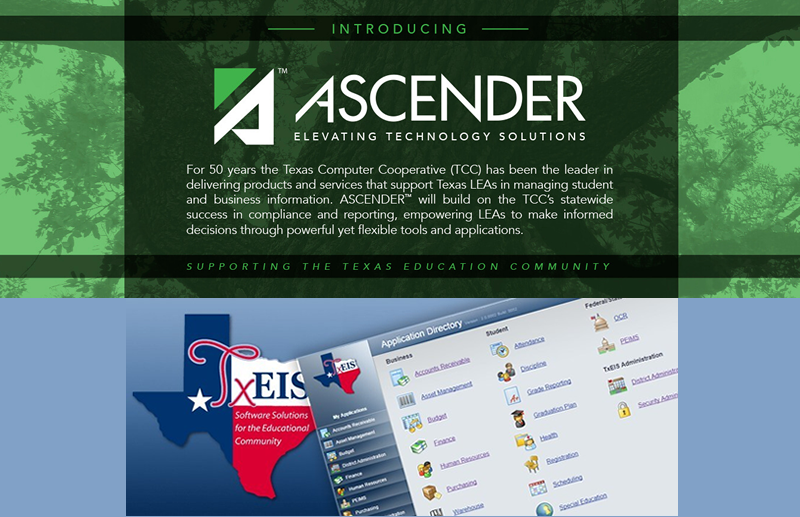 In addition to the TxEIS Business and Student applications, TxEIS is complemented by a PEIMS component that performs all state-mandated extracts, support for OCR reporting, as well as a parent/teacher/student-focused set of applications including the txGradebook teacher portal, the txConnect parent portal, and the txMyZone student course request system, all mobile device-compatible.